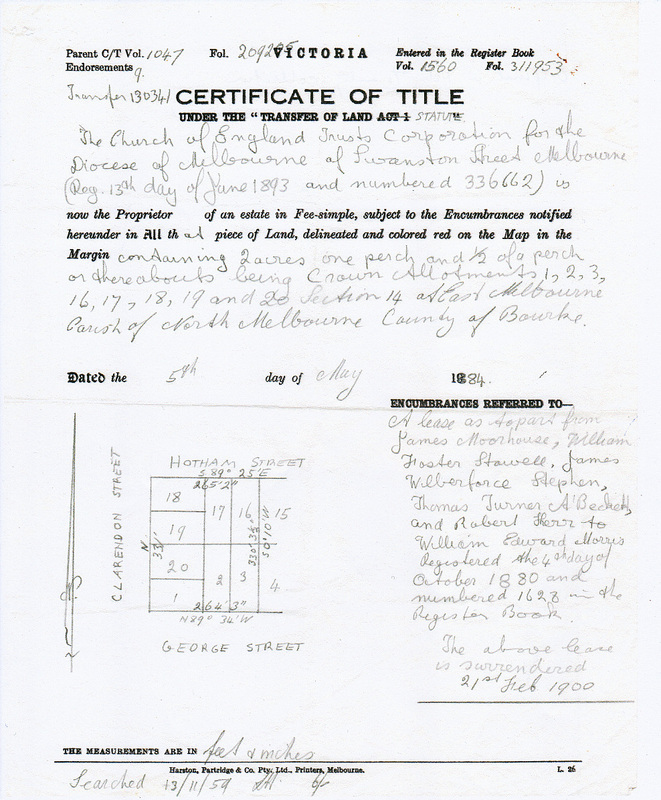 Scanned copy of Title Search of property at 189 Hotham Street, East Melbourne, dated 13 November, 1959. It shows the extent of the Church of England's grant of land. 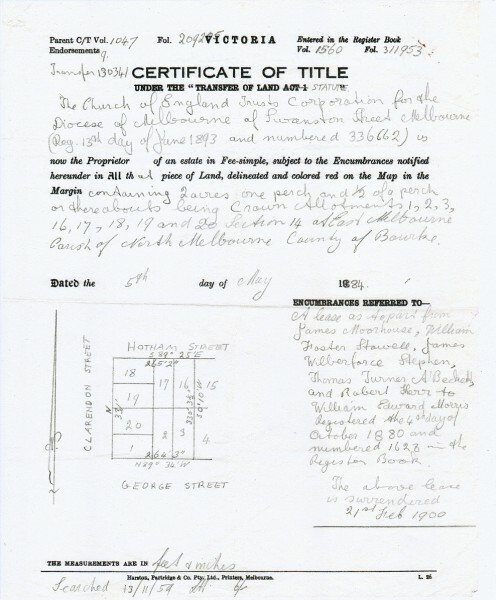 Particularly the document relates to the lease of part of the land by the trustees of the church (James Moorhouse, William Foster Stawell, James Wilberforce Stephen, Thomas Turner a'Beckett and Robert Kerr) to William Edward Morris, then the diocesan registrar. 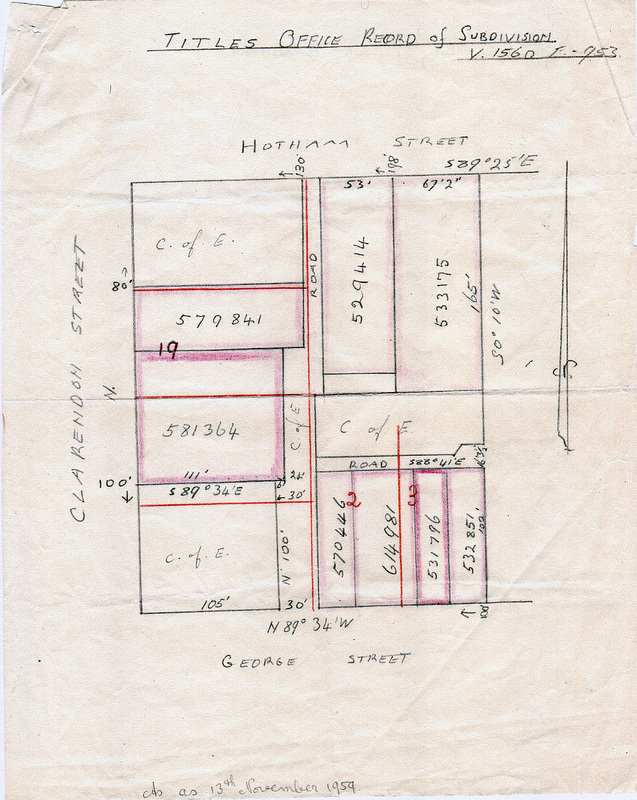 Morris built a house on the land in which he lived with his family. The house was also used as the Diocesan Registry and later served as the vicarage. 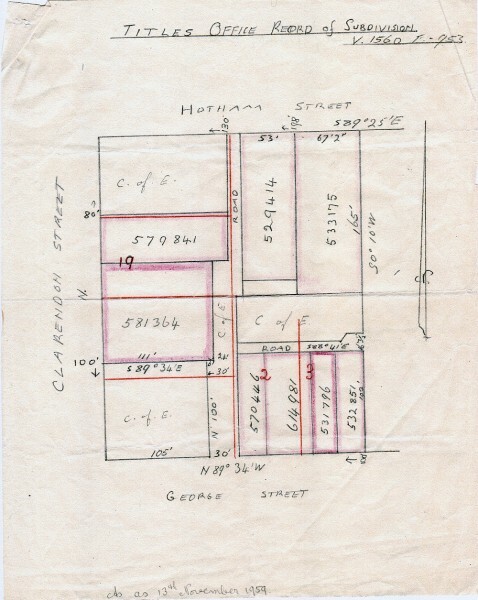 The lease was surrendered in 1900.